From Rosewood's Boredom Breaker Naturals range comes Weave-a-Ball. 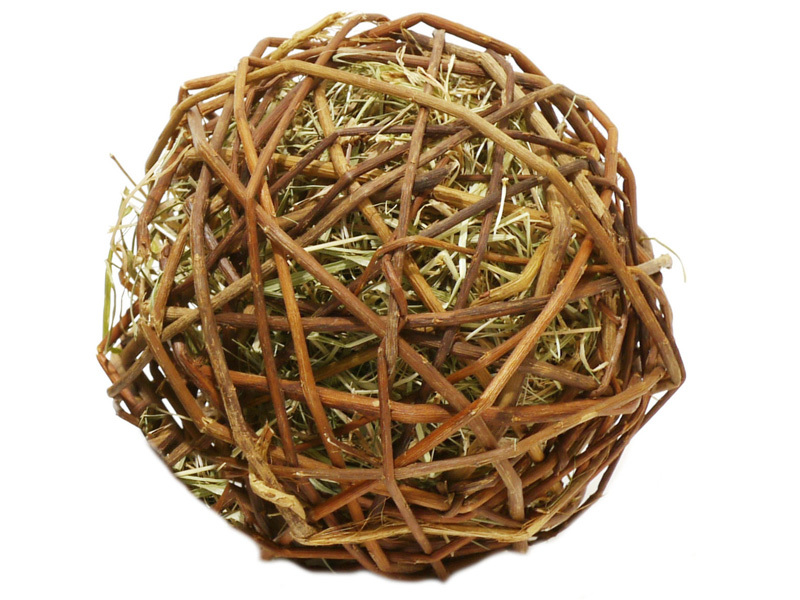 A new favourite toy for your furry friend, all small animals will delight in rolling, chasing, nibbling, gnawing and tossing this willow ball, filled with premium hay and meadow flowers. Smaller animals like hamsters or mice may even use this toy to nest inside! Prepared with the minimum of processing, additives or added sugars, these treats offer the healthy option. Created to appeal to and stimulate your pet, brightening their day! You know how we like to eat tasty, carefully prepared food, with healthier and more interesting ingredients, well now your small pet can too! Suitable for all small animals. Below are some recent questions we've received regarding Naturals Large Weave-A-Ball, including answers from our team. The dimension given on the product page is 14cm.